Carts There are 2 products. Instality trades radiators carts lifters, highest quality, made in Italy. Robust and reliables, can be supplied with one wheel or three wheels for stair climbing. Each cart is certified and tested according to CE regulations. 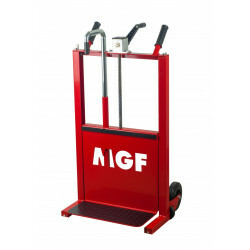 Cart for radiators, equipped with stairs wheels can lift radiators up to 200Kg as a real forklift and transport them on different planes. Made in Italy. Radiators cart and lifter, with a maximum weight of 200 Kg. It can be moved also with cordless drill. 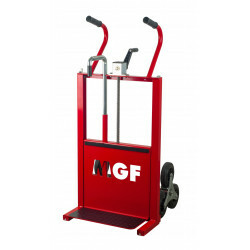 Made in Italy by MGF Tools.